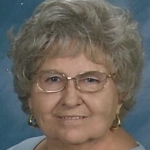 Dolores Mae Phillips, age 81, of Lake Alfred, FL, passed away Wednesday, December 19, 2018, in Lakeland, Florida. Mrs. Phillips was born January 31, 1937, in Wheeling, WV to Walter Alowishus and Emily Ann (Thomas) Walensa. Originally from Ohio, she was a Polk County resident for the past thirty years. Dolores retired after nineteen years as secretary to Mr. Jim Gilcrest, a McDonald’s owner. She was a member of The First United Methodist Church of Auburndale, Florida, where she was very active on several committees and loved to volunteer. In her earlier years Dolores was a homeroom mom and was involved with her children’s activities including JROTC, Girl Scouts, and baseball. Delores enjoyed needlepoint, crocheting, and spending time with her family. She was preceded in death by her parents; and her husband, George Nelson Phillips in 2007. Survivors include: her daughter, Kathi (David) Soltau, of Lake Alfred, FL; her son, Brad Duane Brennan of Lakeland, FL; her son, Donald Duane (Theresa) Brennan of Winchester, OH; her sister, Roberta Furth of Binghamton, NY; her stepson, Deak (Stephanie) Phillips of Lake Alfred, FL; her stepson, Scott (Elizabeth) Phillips of Glenbury, MD; her stepdaughter, Charmaine Sutter of Erie, PA; her stepdaughter, Michelle (Albert) Stevens of Saginaw, MI; Chelsea (Roe) Phillips of Saginaw, MI; eighteen grandchildren; and thirteen great-grandchildren. A funeral service was held on Friday, December 21, 2018, at The First United Methodist Church in Auburndale, FL. Friends are invited to call at the Van Matre Funeral Home in Cambridge Springs on Thursday, December 27, 2018, from 10-11 a.m. Interment will follow at Venango Cemetery. Copyright © 2015 Van Matre Family Funeral Homes :: Serving Northwestern Pennsylvania. All rights reserved.